Select 2 FREE Halloween Comicfest comic books. Plus, enjoy our "Spooky Sale." 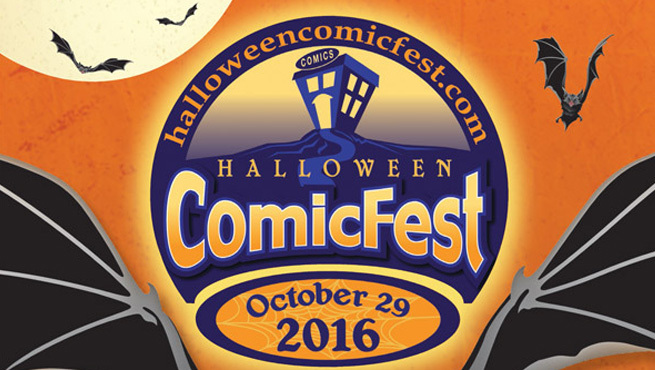 Take 20% off any horror, monster or spooky comic book, toy, graphic novel, etc., if you're not in full costume. BUT you'll get 25% off if you're in full costume. Have fun with this: Convince Ben that the comic book you want contains spooky, monsterific, or horror elements and you might just get the book at sale prices! BONUS TIP: As long as you're in full costume: on Halloween, from 3 pm on, Chipotle is running their Boorito special -- just $3 for any burrito, bowl, salad, or order of tacos.